Time for another Suntory whisky. The Hakushu distillery is located in the Southern Japanese Alps, where there are ‘untouched forests, mountains, and pure waters’ to make for a pretty good whisky. Hakushu whisky is generally peated, and the Hakushu Bourbon Barrel sees this peated whisky get put straight into first-fill bourbon barrels. 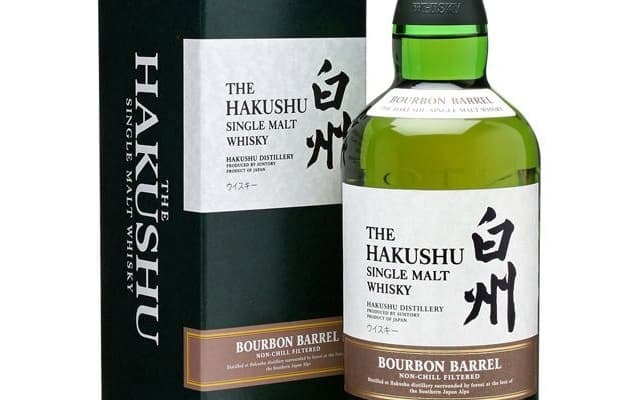 I’ve previously tried the Hakushu Heavily Peated, which I found to be a very enjoyable whisky, so I was quite looking forward to the Bourbon Barrel – which is bottled at 48.20%. Colour: eucalyptus honey. On the nose: Wave of citrusy sweetness. Lemons, leading into a honeyed mead. A buttery, almost light cheesy note to this, which then blends into vanilla. Very elegant stuff. In the mouth: gentle and light on the tongue, and with a sincere lead-in of malted barley. Somewhere in there I get a sense of smoke, but it’s far off. Vegetative, yet it starts to get a little sweeter. Grapefruit? Voignier perhaps. It’s nicely balanced, but overall very straightforward. 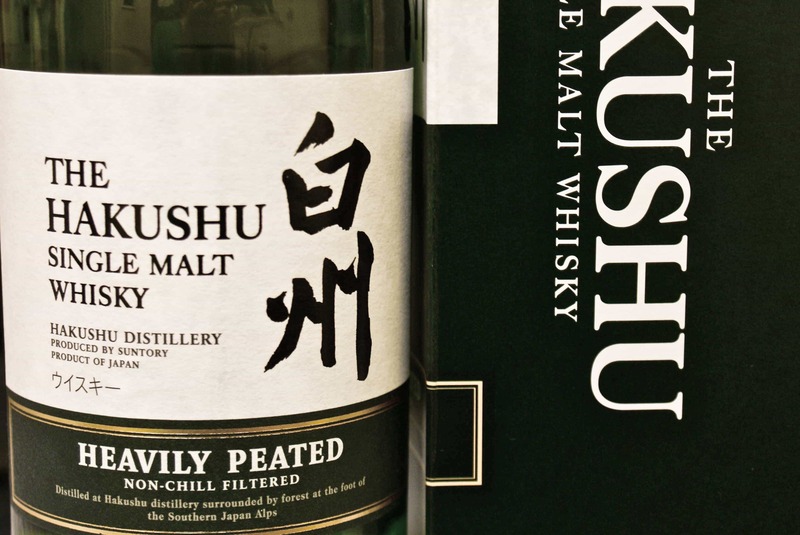 There just doesn’t seem to be much life in the flavours – the key note seems to be that sweet malt, a little heat and spice – but it’s rather two-dimensional compared to, say, the Hakushu Heavily Peated. And it’s a touch vinegary on the finish, as well – like a white wine that’s been left open for too long. So, it didn’t quite work for me. A bottle of this will cost around £65 – personally, if you’re curious about a Japanese whisky, I’d suggest the Heavily Peated instead. Hit the banner above and search for Hakushu, because there are a few more there that you might be tempted by instead of this. Disappointing.